Moringa soap is made with Moringa leaves which Supply immense benefits to the skin. Moringa soap feeds the skin, making it healthy. It also cleanses and detoxifies the skin. 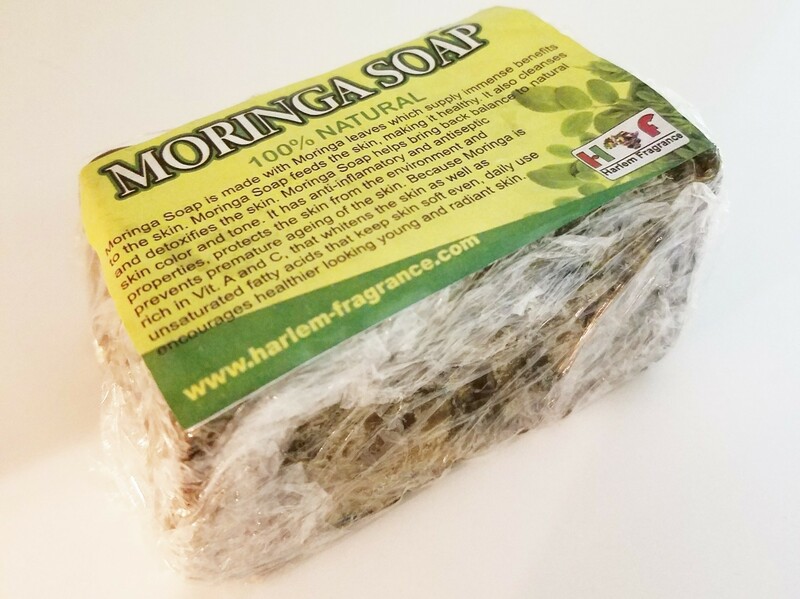 Moringa soap helps bring back balance to natural skin color in tone. It has anti-inflammatory and antiseptic properties that protect the skin from the environment and prevent premature aging of the skin. Because Moringa is rich in vitamin A and vitamin C, that lightens the skin as well as unsaturated fatty acids that keep skin soft even, daily use encourages healthier looking young and radiant skin.